CDM carpentry was founded in 2013 by Carl Murphy. Carl began his career in carpentry in 2002 starting his apprentship. After he completed his NVQ level 3, Carl spent many years sub-contracting work off some of the country&apos;s largest companies. During this time Carl gained a vast amount of experience and knowledge. 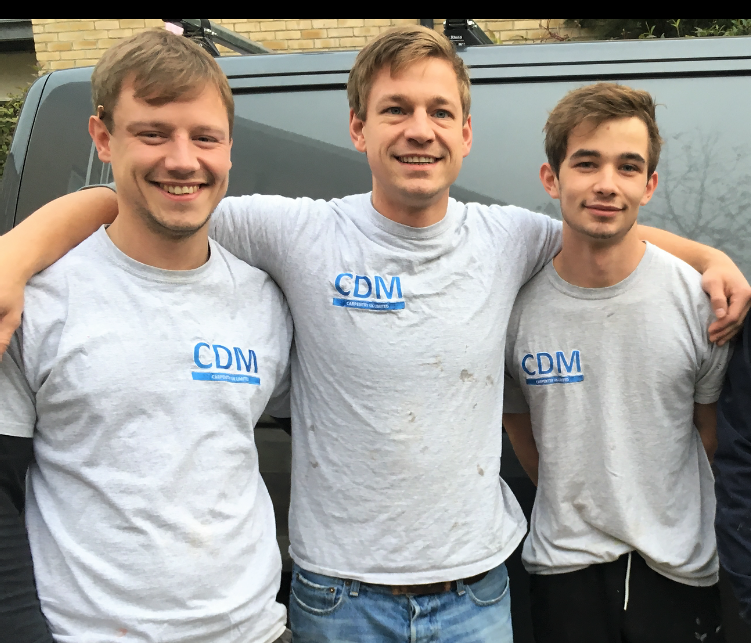 Carl has a passion for carpentry and outstanding craftmanship Carl formed CDM carpentry in 2013.CDM has team of skilled and qualified tradesman from across all areas of construction. This enables us to take on large projects from start to finish. Over the past 3 years CDM has taken on a wide verity of work from Refurbishments, Shop fitting, Maintenance and Designing furniture.CDM has built outstanding customer relationships with its clients many of whom are returning customers.